According to law enforcement, a woman made the choice to intentionally crash her car into a concrete pole. She allegedly did so in order to prove to her children that God is real. Law enforcement agents who investigated the crash said that 25-year-old Bakari Warren admitted she crashed the car on purpose. She wanted to show her children that God would protect them if they believed. According to local media, the crash did not harm the two children—aged five and seven. 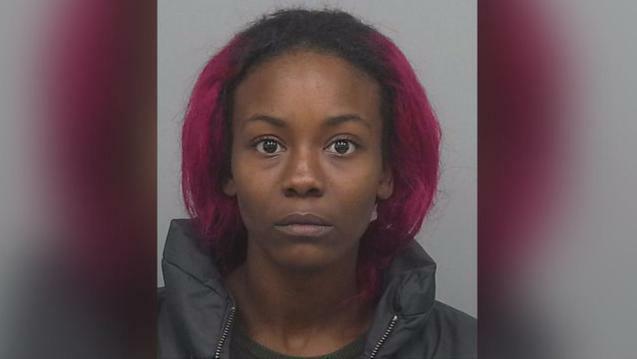 Investigators say that Bakari Warren was driving across an intersection when she decided to intentionally crash head-on into a concrete pole. The intersection was located in Gwinnet County, Georgia. Police claim that Bakari told her children to buckle up before she drove into the pole, which was on the opposite side of the road. She was frisked and then handcuffed as soon as she got out of her vehicle. An officer asked one of the children if Bakari crashed the vehicle intentionally. The child allegedly said that she did. Her eyes were closed and was talking about loving God. According to the child, Bakari did not want a car accident—she just wanted the children to know that God exists and is real. 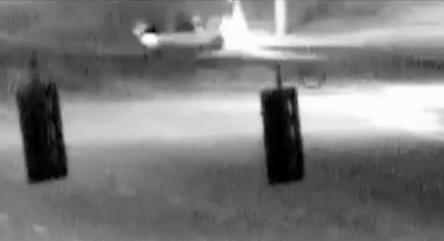 The crash and the children’s comments about the crash were caught on camera. 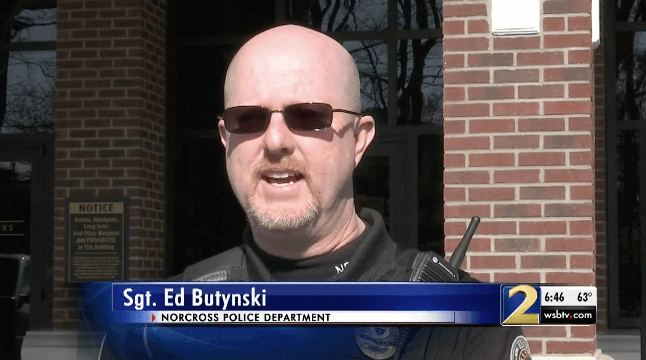 Norcross Police Sergeant Eric Butynski revealed that when law enforcement officers asked what happened, Bakari told them to check her Facebook profile. She said that it would explain what had happened. The sergeant said that Bakari and the children got very lucky, adding that it could have been a lot worse. There could have been heavier traffic, he said, and she also could have hit the pole at an angle that would have done more damage to the SUV she was was driving. There is no evidence regarding the crash on what appears to be Bakari’s Facebook page. 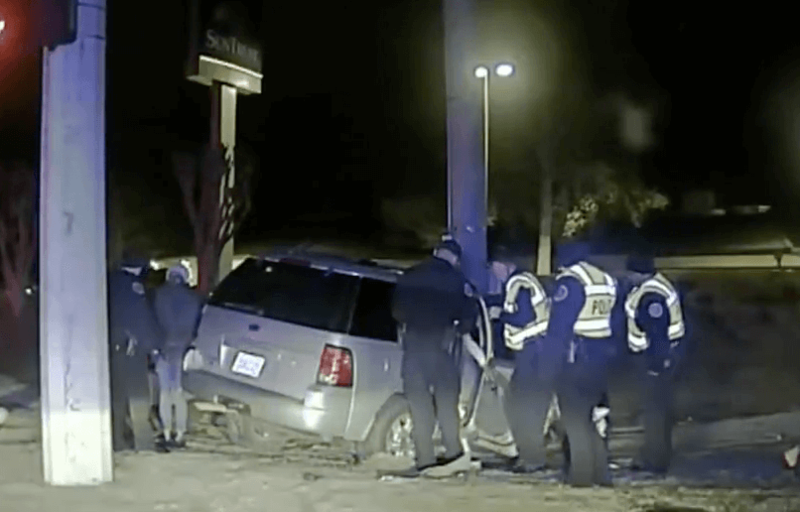 Police did say that she offered them the explanation she gave to her children—she wanted to use the crash to prove to her children that God would protect them. Bakari has been charged with two counts of child cruelty, and she has been placed on a $22,000 bond. The children are currently staying with grandparents. Naturally, it has been pointed out that Bakari telling her children to buckle up was sort of strange, as God could probably do as good—or even a better job—than seatbelts in the event of a car crash. There’s no definitive way of proving God exists, but what Bakari did was most definitely a criminal act. The children were clearly abused. While this story sounds absurd and almost laughable, child abuse is no laughing matter. There are a few forms of child abuse, and one of them is emotional abuse. According to the American Psychological Association (APA), emotional abuse can be just as harmful as physical and sexual abuse. The APA believes that close to three million children in the United States suffer a form of emotional abuse every year. It is the most prevalent form of child abuse, and also the most challenging. Laws in the United States regarding emotional abuse vary from state to state. The causes of child abuse are extremely complex, and child abuse sadly occurs throughout the world. It is well known that poverty and substance abuse may make a person more likely to harm a child. Furthermore, adults who were abused as children may be more likely to abuse a child they know or are responsible for. There are many long-term emotional effects of being abused as child. Abused children may end up insecure, anxious, and have trouble in school. Eating disorders are yet another concern. Disturbing thoughts and behavioral problems are common, and those problems may eventually lead to criminal behavior. Even their long-term physical health suffers as a result of being abused. Their health behaviors are often more high-risk, and they have higher rates of chronic illnesses as they get older. As a result, their lifespans are shortened. It has been estimated that—in the United Kingdom—over a half million children are abused each year.